How to watch The Fugitive (1993) on Netflix New Zealand! Sorry, The Fugitive is not available on New Zealand Netflix, but you can unlock it right now in New Zealand and start watching! With a few simple steps you can change your Netflix region to a country like United Kingdom and start watching British Netflix, which includes The Fugitive. We'll keep checking Netflix New Zealand for The Fugitive, and this page will be updated with any changes. 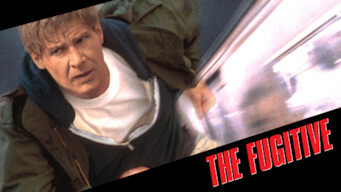 The Fugitive is not available in New Zealand BUT it can be unlocked and viewed! A doctor wrongly convicted of murder escapes from custody, but as he tries to find the real killer, a gung-ho U.S. Marshal is hot on his trail. A doctor wrongly accused of murder must prove his innocence. He's on the wrong side of an epic cat-and-mouse game. There is a way to watch The Fugitive in New Zealand, even though it isn't currently available on Netflix locally. What you need is a system that lets you change your Netflix country. With a few simple steps you can be watching The Fugitive and thousands of other titles! Want to learn how to get American Netflix in New Zealand?